Mystery buff Vicki Butler plans to kill someone this weekend. Nothing personal, just business. It’s all part of the killer grand opening murder mystery weekend at her new Who-Dun-Him Inn. But a storm’s brewing on Porter Mountain and, before the snow settles, a guest winds up dead--as in really, totally, and permanently. Now snowed in with a murderer running loose, young widowed mom Vicki is forced to keep her family, guests, and actors safe while searching for clues. Her author guests, also the prime suspects, try their hand at solving this real-life whodunit, thereby hindering the investigation by local law enforcement officers. Things really go downhill when her twin Liz shows up, trailed by flamboyant Grandma Ross, who announces she’s seeking a boy toy among the suspects. When both a local younger man and an out-of-town newshound start sniffing around the inn -- and her -- Vicki realizes she's got more problems than just a murderer on her hands. Can she solve the mystery before the murderer strikes again -- or will this case of jitters prove to be terminal? Carrying flowers to the cemetery, Vicki literally stumbles across an extra body. It’s hard to tell, but the dead man looks disturbingly like her twin Liz’s estranged husband, Gene. That would be the same Gene who Vicki argued with only the day before. With Liz standing to gain big in the event of Gene’s death and Vicki just plain standing next to the body, both twins are now under suspicion. If they don’t find the murderer, and fast, they might both end up in jail and Vicki’s Who-Dun-Him Inn could well be out of business. Vicki and Liz have nothing against polygamists. Heck, their own great-and-so-forth-grandfather, the one who built the mansion that morphed into the Who-Dun-Him Inn, had at least three wives. If family dynamics can be interesting with one husband, one wife, and two-point-five children, those in a family with five wives and twenty-eight children can quickly turn deadly serious. 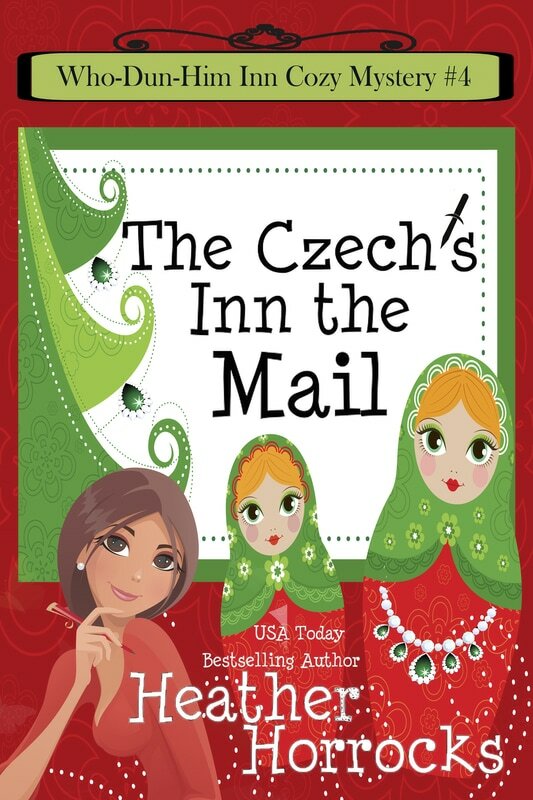 When Vicki's many-times married cousin decides to bring his new Czechoslovakian mail order bride to her Who-Dun-HIm Inn for his honeymoon, no one realizes she's trailing some Russian mafia guys not too far behind.